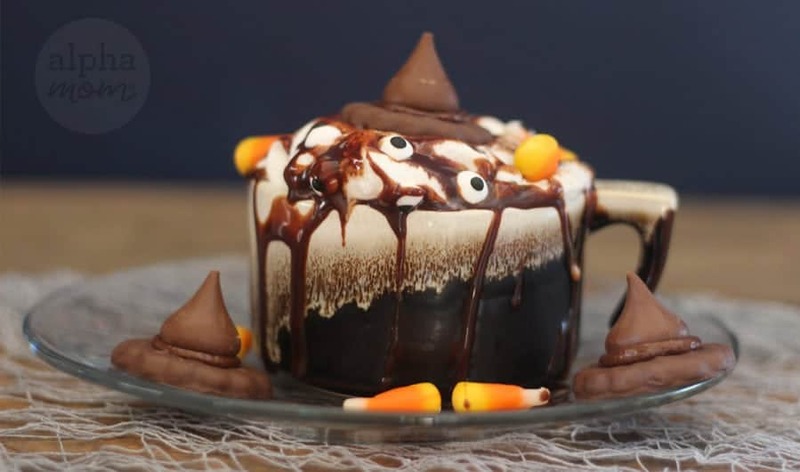 We’ve all seen the candy-colored unicorn milkshakes take over the social media channels but what about something a little darker for this Halloween? Maybe some Halloween witches’ brew hot chocolate? 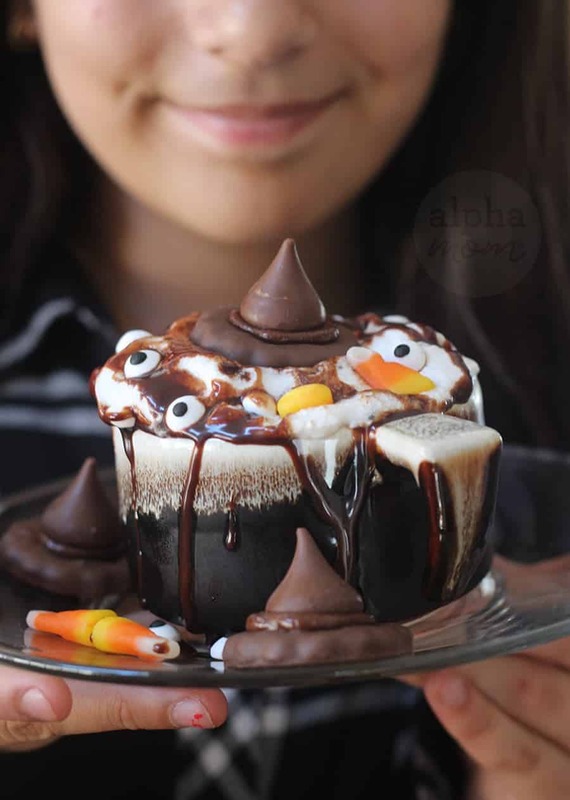 Let the chocolate ooze over the sides on purpose, throw in some candy corn and eyeball candies (eyes of newt, anyone?) for decadence and top with a witches’ hat cookie. It’s all good in the name of Trick or Treat. your favorite hot chocolate recipe (we love this one and this one for parties ) the darker the chocolate, the better. Step 1. First make your witch hat cookies. All you have to do is dab a smudge of chocolate frosting in the center of your cookie and place your chocolate kiss on top. We used an icing bag for speed but a knife would do the job too. Step 2. 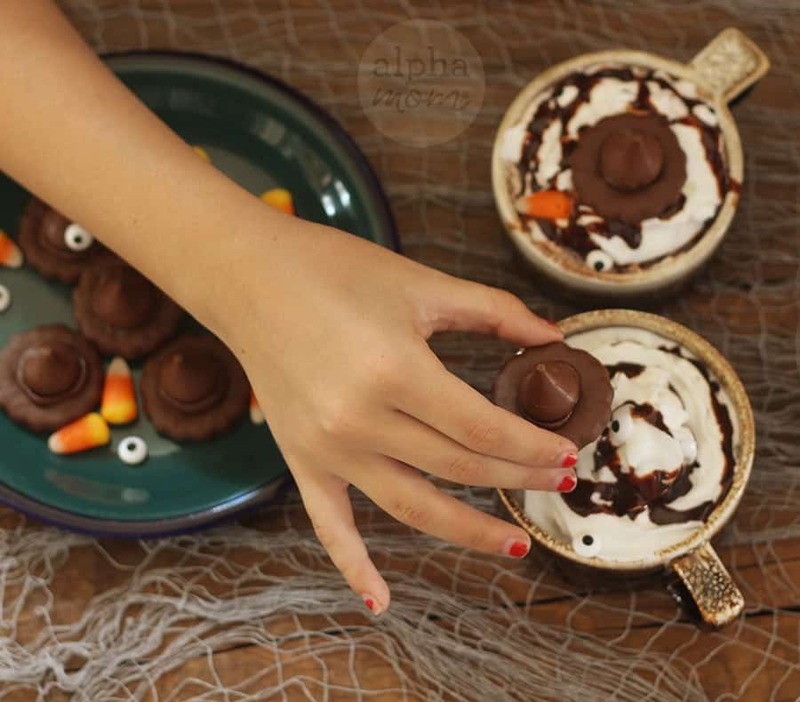 Then whip up your favorite hot chocolate recipe and start the witchy decorating process. If you are new to making your own hot chocolate you could try Ovaltine first. We love it because it dissolves the easiest in milk and it’s even better when whipped up with a milk frother. But if you favor other mixes (dark chocolate, salted caramel…there are so many) please carry on! Step 3. 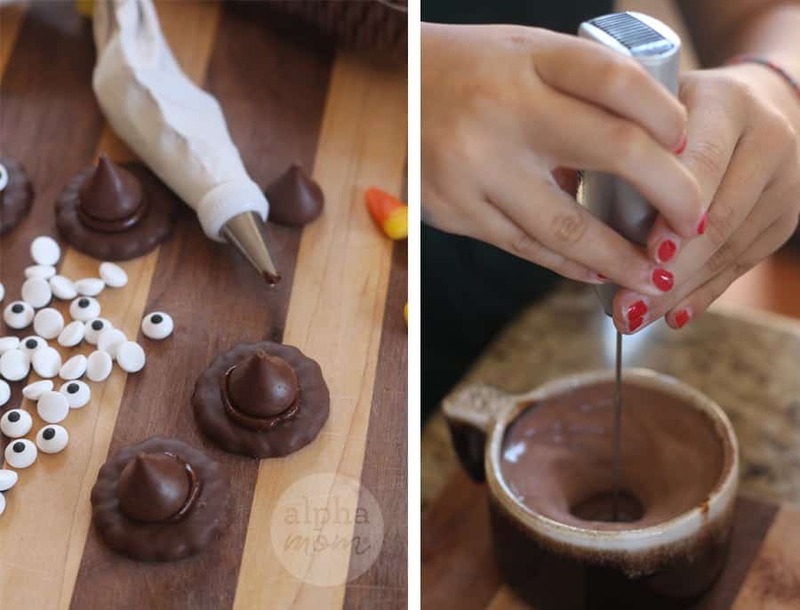 Add a heaping pile of whipped cream to the top of your hot chocolate, drizzle messily with chocolate syrup and then plop in a few candy corn and eyeballs. Top with a witch hat cookie and you are ready to serve! Meringue Ghost Spider Treats for Halloween!